Parenting today comes with a lot of responsibility and an overwhelming amount of choices. Don’t believe me? Take a stroll down the baby aisle at your local grocery store and be prepared to be shocked by the sheer amount of diaper brands new parents can pick from. But parents aren’t only called to clothe, diaper, and feed their new babies. They’re also invited by God to educate their children in the light of the faith. Maybe you’re a new parent and you’re feeling slightly overwhelmed at the task of raising little people and building a domestic church. Perhaps friend, siblings, or cousins of yours are new to this parenting thing and you want to help them out. Here are thirteen resources for brand new Catholic parents! In 1994, Saint Pope John Paul II celebrated the Year of the Family. That year gave him the opportunity to greet families and spend time with them. Even though he was an incredibly well-traveled man, John Paul II couldn’t visit the home of every single Catholic family in the world, so he wrote this letter to share with them how deeply the Catholic Church desires to stand by the side of Catholic parents and children. You can read the letter here. According to research, new parents get less than five hours of sleep every night. If you’re a new parent (or know a new parent! 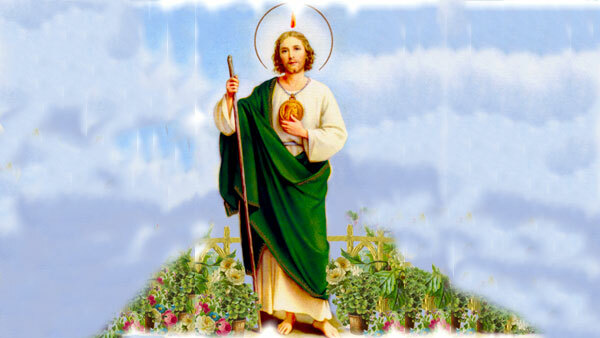 ), a devotion to Saint Jude can come in handy. He’s the patron saint of impossible causes, which is perfect for this season of life when a restful night’s sleep seems like a lost cause! Feel like you’re all alone as a Catholic mom striving to raise little saints? CatholicMom.com is a community of women celebrating all things family, family, and fun. The website has everything from podcast episodes to blog articles. While CatholicMom.com doesn’t formally host or organize groups for Catholic moms, they do provide moms with resources for local groups of mothers who meet to share their faith. Visit their website for a reminder that you’re not alone in your desire to raise a holy family! How do you introduce your little kids to the words of Scripture, the Catechism, and the saints? Author Katie Warner and illustrator Meg Whalen are equipping parents with books to encourage your children to fall in love with truth, goodness, and beauty at a young age. Their books are just as attractive and fun as the bestsellers in today’s children’s book market, but they’re filled with words that can bring comfort and wisdom. Check out the First Faith Treasury, which includes Father Ben Gets Ready for Mass, a fun and creative first introduction to the liturgy and priesthood! 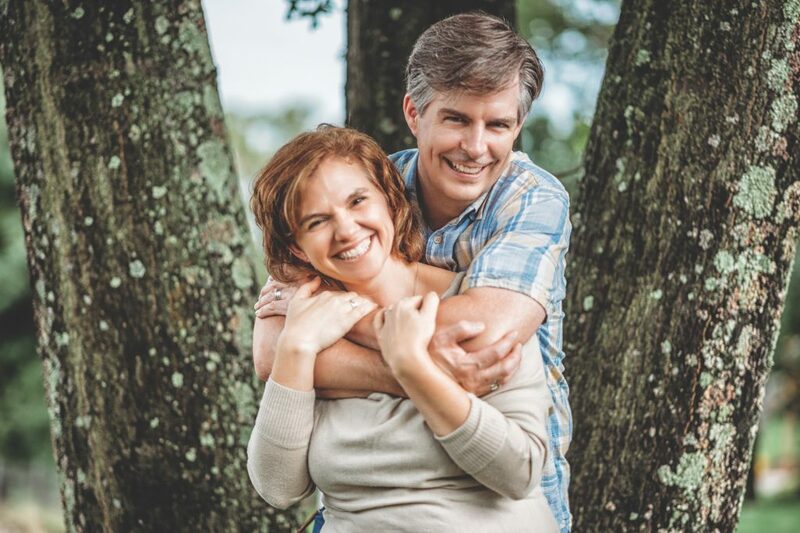 Dr. Gregory Popcak, who co-hosts More2Life with his wife Lisa, is the Executive Director of the Pastoral Solutions Institute, an organization dedicated to helping Catholics find faith-filled solutions to tough marriage, family, and personal problems. Check out the Popcak’s radio show, parenting books, and counseling services. It only takes a few days (or hours!) after bringing your baby home to discover that life is much messier now. You may wonder if you’ll ever get to the bottom of the laundry pile. Michael and Alicia Hernon are the founders of The Messy Family Project, a ministry that gives advice and encouragement to parents and seeks to spark a conversation between spouses on how to be the best parents for their children. Parents of 10 children ages 6 to 23, Mike and Alicia offer down to earth, practical insights into family life through their podcast, which is downloaded over 10,000 times every month. Michael and Alicia are still in the trenches, with children from 6-23 and a grandchild on the way as well. Parents never stop learning! You may wish that babies came with an instruction manual. Unfortunately, research for this article didn’t turn up one of those. 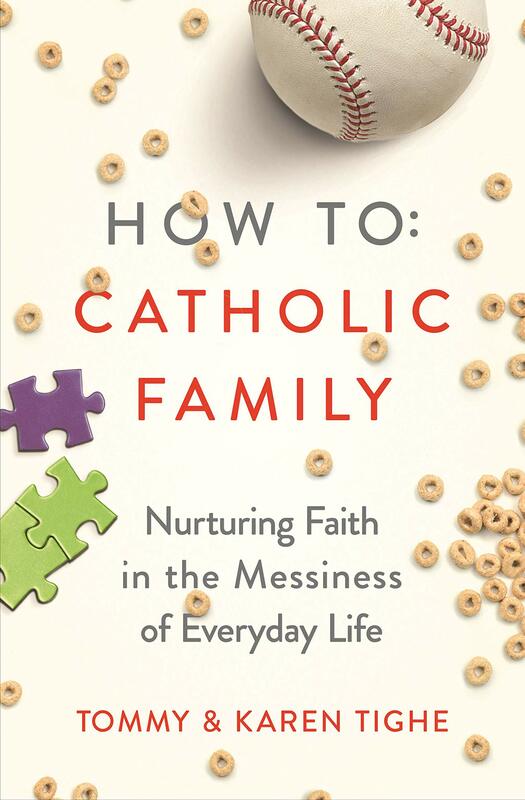 But we did come across How To Catholic Family: Nurturing Faith in the Messiness of Everyday Life, a brand new book by Tommy and Karen Tighe. This book is a practical and encouraging guide for Catholic parents who want to share the faith but aren’t quite sure where to start. Covering topics like praying together, explaining the Mass, and finding community, this book is a great read for brand new Catholic parents. For years, psychologists and other researchers have told us that marital satisfaction takes a hit when spouses become parents. After all, date nights are exchanged for diaper changes, and one-on-one time is hard to come by. While focusing totally on your kids may seem like a good idea, it’s generally not. Instead, if you’re looking for the best way to love your family, one of the most beneficial things you can do is to love your spouse. Even though it may seem impossible, make plans to attend a retreat for you and your spouse. It could be a day long retreat offered at your parish, or a virtual retreat if finding a babysitter isn’t in the cards. Regardless of how you make a retreat, make time for each other and your marriage, especially in this new season of parenting. You’re probably flooded with parenting advice these days (and here we are, giving you more of it). But some of that advice should be tossed out the window. How do you know when to tune out the parenting experts? In Advice Worth Ignoring, Dr. Ray Guarendi busts fifty (yes, fifty!) common child-related truisms and parenting myths that can mislead and undercut parents. 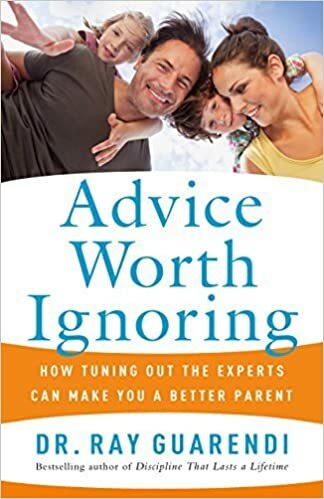 This book encourages you to ask whether advice that you’re given makes sense, and if it has merit for your family. Pediatrician, mom, and best-selling author Dr. Meg Meeker is a leading authority on parenting and children’s health. You probably have a family pediatrician all lined up for your little ones, but Dr. Meeker is a great resource to add to your Catholic parenting tool belt. She’s the creator of the Parenting Great Kids podcast, where she helps moms and dads simplify what feels daunting. She covers a wide range of topics, answers real questions, and share the stories of other parents. Whether you’re cooking dinner or on your way home from work, tune in to begin parenting great kids today. Magnificat Kid books from Ignatius press have our authors here at Epic Pew doing happy dances in their living room. Check out some of our favorites from Magnificat when you’re stocking your baby bookshelf. You may be seeing all the hip Catholic kids these days chewing on the Chews Life rosaries. Chews Life is such a beautiful small Catholic business with a mission to serve Catholic families. Founded by Shannon Wendt, Chews Life employs twenty-five women. Their mission is to equip all Catholics with Rosaries for life. After Shannon lost three babies in a row, she struggled with anger towards God. The Rosary helped heal her broken heart and lead her back to the love of God. Check out the website for chew-able rosaries and teethers for little ones and fun Catholic jewelry for parents. Join the 28 day Rosary challenge for free audio rosaries, coloring sheets, and snail mail! Martha is a mother to eight kids, a registered nurse, a former childbirth educator, a La Leche League leader, and a lactation consultant. You can take full advantage of her knowledge through her twenty-five books on parenting. Martha also regularly speaks at national parenting conferences and gives great, practical advice for facing the most common problems parents run into with little kids.